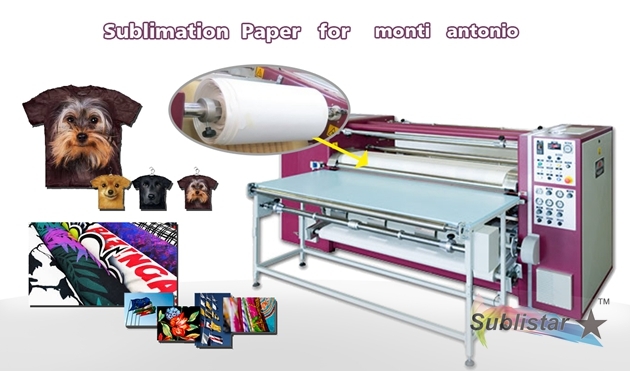 Rotary heat press machine is special design for those large but roll products, such as fabric, textile, curtain, mouse pad, etc sublimation by oil roller drum heating, roller drum and fabrics should be same speed. 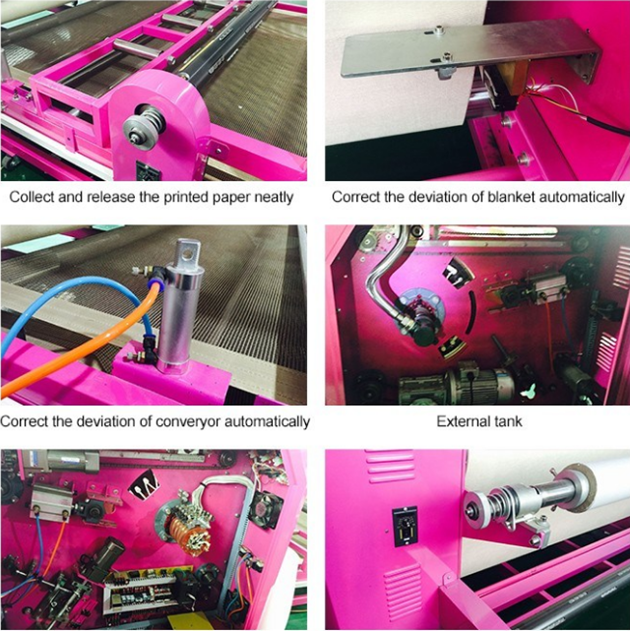 our this size 500x1900mm/1700mm printing speed can reach 4-5 meter per minute. 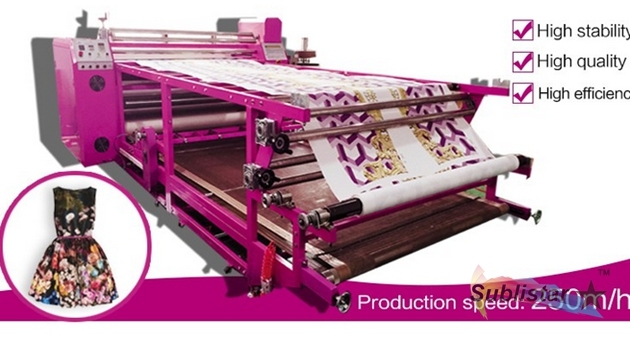 This machine is suitable mouse pad/pieces, bedding, curtains, large banners, flags, non-woven fabrics, apparel fabrics, towels, blankets, and other products sublimation transfer, especially the piece of fabric of continuous transfer. Capable of continuous printing, high speed, high-volume printing to meet customer demand.